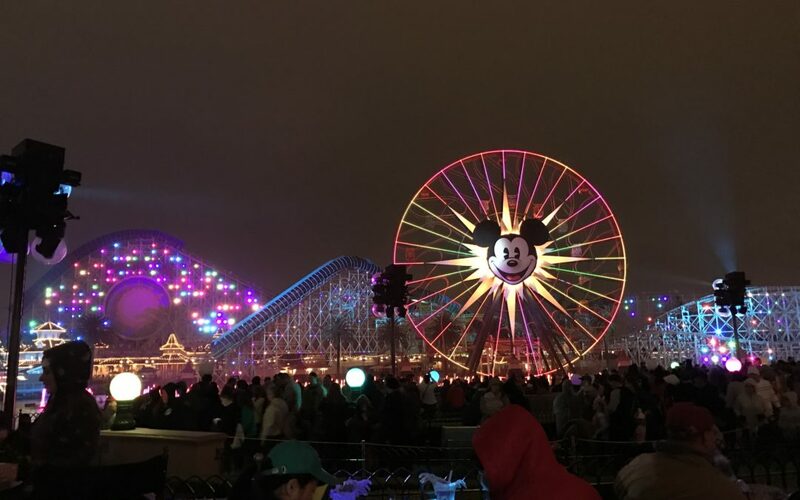 The process for viewing Disneyland’s World of Color show has evolved since it’s inception a few years ago. I remember being caught in the chaos during opening month, where mass crowds of people filled the paths surrounding California Adventure’s Paradise Bay for hours before the show. It was kind of a mess! Fortunately, Disneyland is a quick learner. They soon added fast passes (and later dining packages) with pre-assigned viewing areas. This has significantly improved the experience while also providing more options for watching the show (even though waiting in line still happens since we all want the best spots within our assigned areas). 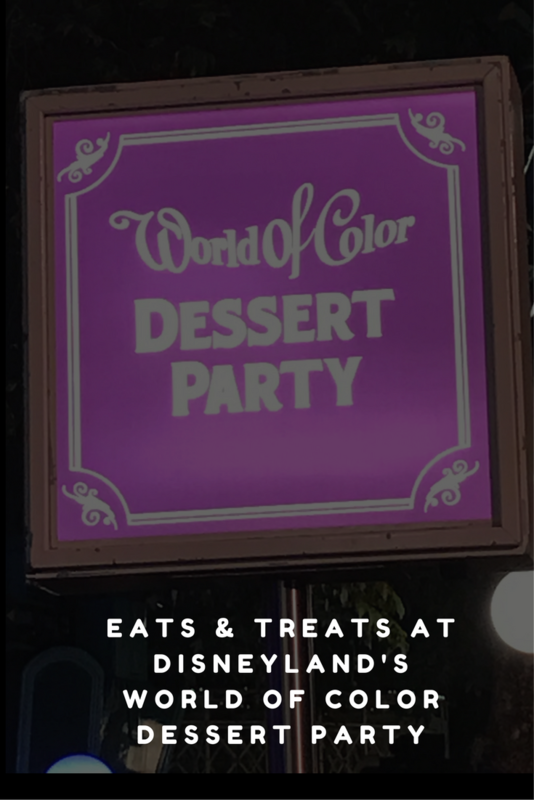 Even more recently, Disneyland introduced the World of Color Dessert Party, and of course, I had to try it out a couple of times. Desserts, drinks, and CHAIRS?! That sounds like a dream come true for an outdoor show at Disneyland. Just like other dining packages, the Dessert Party should be booked around sixty days in advance…with one exception, which is when they don’t release the tickets on the typical sixty day mark! Exactly sixty days out from our targeted date, I tried to book the Party at Disneyland.com but it showed up as unavailable. I knew it couldn’t be sold out already, so I called Disneyland. They said the schedule for World of Color was not available yet and I just needed to keep checking. I set a reminder on my phone to check the Disneyland website every morning and after a few weeks, it showed up as open. Yay! 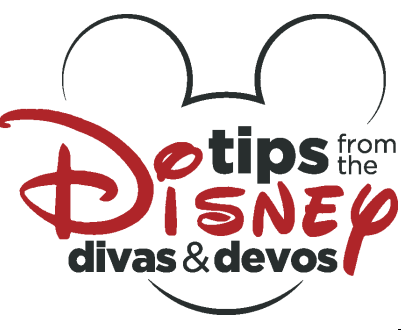 Diva Tip: If a particular dining package or restaurant is showing up as unavailable, don’t give up hope! Sometimes the schedule just hasn’t been released yet or if it is booked, people often cancel their reservations. Just keep checking! 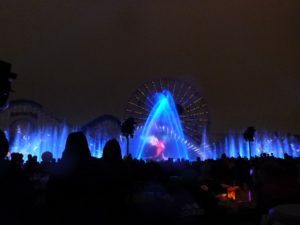 When we obtained fast passes and/or dining packages for the World of Color in the past, we usually arrived an hour or more before the show to stand in line at our designated area… and then “run-walked” (a classic Disney move!) to a good spot when the ropes were dropped. If you have little ones (or are vertically challenged like me), it can be difficult to see if anyone is in front of you. However, we decided to arrive at the Dessert Party line only about 15 minutes prior to the start of the event (it began 45 minutes before the World of Color). As parents know, waiting in long lines with young kiddos should be avoided as much as possible! Since we were guaranteed a table and chairs, I figured we didn’t need to show up early…and I was right! We were almost the last people in line, but it didn’t really matter. Promptly at 7:30pm (for an 8:15pm World of Color), the hostess removed the rope and the first family was directed to walk down to the designated area, where they picked out their table. This continued until it was our turn, and by that time, most of the tables were full. There were two rows, with a mixture of low-top and high-top tables in the first row and only high-tops in the back row. The first row was full, so we selected a table in the back and we had a great view! The only downside of this approach is that high-tops are obviously more challenging for young kids, as the chairs are high and have open backs…which are the perfect size for a small child to slide right through. I just kept one hand on my daughter’s chair to keep her from sliding out, but she ended up in my lap for the entire show anyway (the show is loud and dramatic at times, which can scare little ones). A server immediately greeted our table and asked for our drink order. Two alcoholic (or non-alcoholic) drinks for adults were included in the package, including a specialty cocktail, beer and/or champagne. 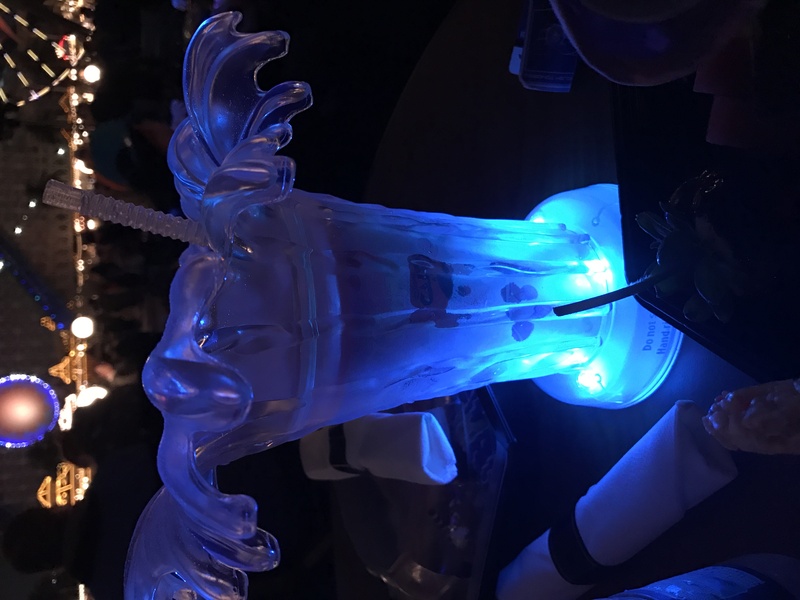 Kiddos could order their own fancy drink, which came in an exclusive cup with lights that synced with the World of Color performance. Each person received their own “to-go” container of food, which included assorted cheeses, bread, fruit, and oh-so-yummy desserts. 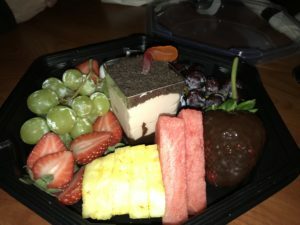 The dark chocolate cake was my favorite, but the caramel cheesecake, sugar cookie filled with fruit preserves, and the Mickey-shaped Macaroon were also tasty. I wish I wasn’t so full from dinner because I couldn’t eat it all! The server (as well as the hostess) knew about our daughter’s food allergies from our reservation, and he confirmed those allergies before bringing out her food. We had actually done this package one other time with a large group of extended family members a few months prior, and we were disappointed with her food (see allergy info below). I decided to try it one more time because I really liked everything else about the Party. This time, they did a better job. My daughter was served TWO trays. One was full of fresh fruit, and the other had fruit plus three desserts: a chocolate “dirt” mousse with a gummy worm poking out, a chocolate dipped strawberry, and a homemade marshmallow. Well, I think it was a marshmallow. It looked and tasted like one, but it was hard to tell for sure. While the choices were limited, it still warmed my heart to see a few special treats just for her. It was obvious that the Chef went out of his/her way to ensure my child enjoyed dessert too. When I booked the Dessert Party, I listed my daughter’s food allergies in the reservation. I also contacted Disneyland Special Diets (special.diets@disneyland.com) a month before our trip to request that a chef contact me to discuss allergy-safe options for my kiddo. Since we had done this package one time before, we knew that the food was served in individual containers that were previously assembled, therefore making it impossible to customize a safe meal while we were there. Someone from Disneyland’s Central Bakery emailed me a couple of days before our scheduled show to verify my daughter’s allergies. I told that person about our previous experience with the Party. 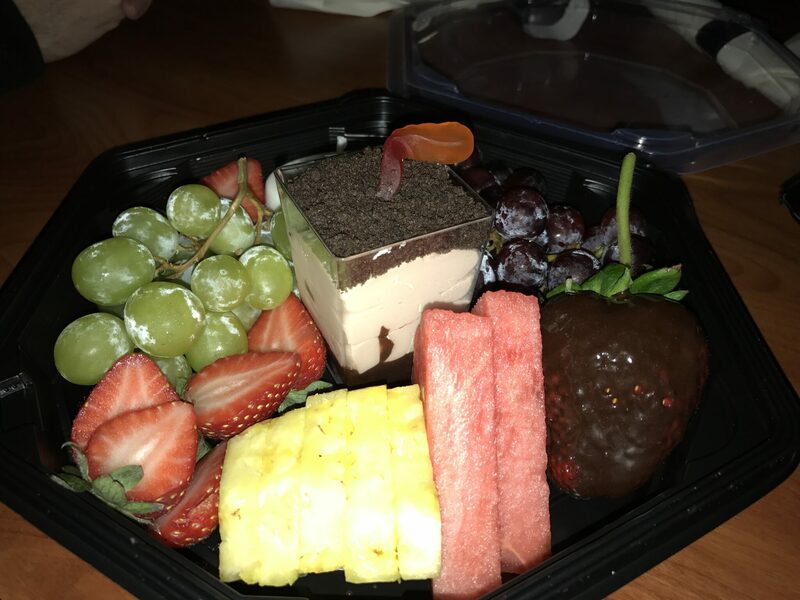 My kiddo had been given a tray of fruit the last time, and if that was going to be the case this time, then we would cancel our reservations. She made sure to note my feedback for our upcoming show and they were able to come up with additional options for my daughter. Diva Tip: Always come prepared with a safe backup option for kids with food allergies. As much as my daughter loves fruit, there is nothing worse than being surrounded by your cousins eating delicious treats shaped like Mickey while you are served berries and cantaloupe. Even though I had planned out most of my kiddo’s meals for this trip, I still brought a goody bag filled with rice crispy treats and sugar cookies. This helped ease my anxiety while also ensuring she always had a special treat, if needed. Here comes the catch – the World of Color Dessert Party costs $79/person (ages 3 and older; under 3 are free), in addition to your park ticket for the day. This price will make it unattainable for many families, as that adds up quickly! 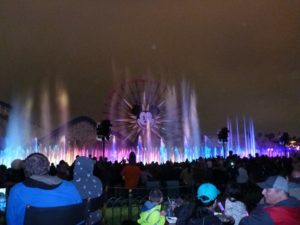 On the other hand, keep in mind that you are paying for more than the food and drinks…you are paying for the ability to watch the World of Color without waiting in line for hours and then being able to sit comfortably in a chair throughout the show. Regardless, it is definitely a splurge and there are other ways to see the World of Color, as described by Dland Diva and Character Diva. If you decide to take the plunge, I recommend trying to save money elsewhere by making it a “cheap food” day. Eat meals either at quick service locations or at restaurants located off the Disney property. There are quite a few options that are within walking distance of Disneyland. You can also buy some groceries and make your own meals. Most hotels in the area have refrigerators and many have free breakfasts. And, save room for your desserts by eating a small dinner beforehand…that was my mistake and I couldn’t eat everything that was served! Yes, I would do it again, but not on every Disneyland trip. It is just too expensive for the entire family. We did really enjoy ourselves and I loved being able to sit during the show, so we would do it again for a special occasion or a date night. 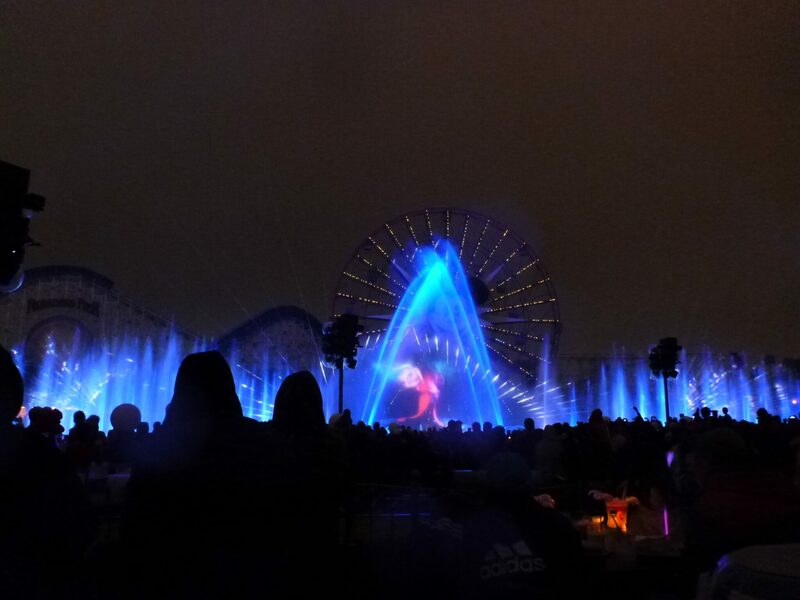 It is worthwhile if you haven’t seen the World of Color before and/or having a chair is a high priority for your family. Diva Tip: If there are multiple showings of World of Color on a given night, reserve the Party for the last show. It often starts after California Adventure has closed, which means you don’t lose any time for going on rides. If you need help planning your next Disneyland vacation, feel free to contact Patricia at All for Dreams Travel! Hi there! In addition to constantly dreaming about our next Disneyland vacation, I love helping my friends and family plan their own (practically) perfect Disneyland trips. I also work in the health and human services field, and I am a mom to two young kiddos with food allergies. Traveling can be stressful for those of us with food allergies. It is my hope that my Disneyland experiences and related tips will help other families enjoy magical, allergy-free vacations. 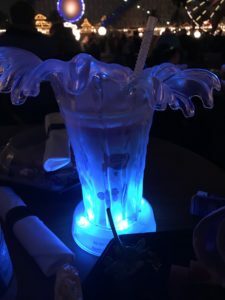 We tried the Tomorrowland Terrace Dessert Party at Wdw and it was awful. 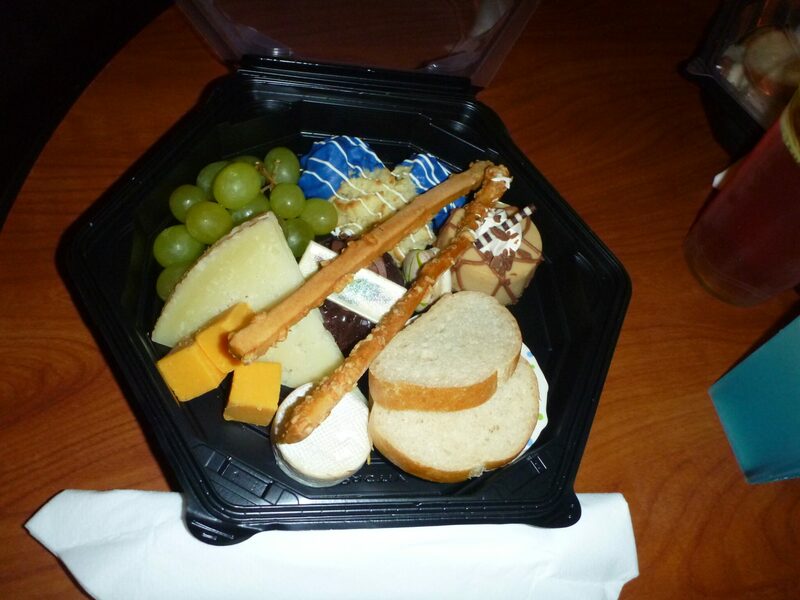 The gave us a few prepackaged “snacks” that you can get at lunch. Way too expensive and we communicated all along about our dietary needs. We were assured that we would be accommodated but they seemed unprepared. Very disappointing considering Disney is our favorite place to eat with allergies. That is so disappointing! We had less than stellar experience our first time doing this package at Disneyland, and I think sharing that feedback helped us have a much better experience the second time around. I encourage you to send your feedback to WDW. Hi! Can you tell me if beer is on of the drink options for this? I can’t seem to find it anywhere except for your blog. Just hoping to confirm! Looking forward to going! Just curious if your child has a nut allergy? I do and therefore can’t eat macaroons or macarons. My husband and I are going sans children and want to make sure it would be worth it and they can accommodate my nut allergy. Please contact Disney Dining ahead of time and let them know of your allergy, they are very accommodating of allergies! Thank you.